Apple's TrueDepth camera made its debut in the premium-priced iPhone X late last year, and since then, the reviews have been pretty positive. Now, Apple might be preparing to make the Animoji-friendly sensors available in more iPhones, as well as the iPad Pro, later this year. As Barron's reports, Rosenblatts analyst Jun Zhang has issued his own report that predicts Apple will release a 6.1-inch iPhone with an LCD display and TrueDepth camera alongside a more premium (and possibly gold-tinted) 6.5-inch OLED model. Zhang also posits that Apple will extend the front-facing tech to the iPad Pro, which would entail "a larger dot projector with increased VCSEL content." The report aligns with recent moves made by the Cupertino, California-based smartphone giant. In December 2017, Apple funded Finisar, the makers of the VCSELs used in the TrueDepth camera, with $390 million from its own Advanced Manufacturing Fund. Listed as one of Next Reality's largest AR investments of 2017, the funding also makes it possible for Finisar to expand its production capacity, which, in turn, could enable Apple to outfit more devices with the TrueDepth camera. Zhang also adds more credence to previous reports that Apple will start enhancing its rear cameras with AR-enabling depth sensors in 2019, adding that the company may opt for the time-of-flight sensors from Sony. So the good news is that, if Zhang's report is accurate, it will soon be easier and possibly more affordable for Apple fans to upgrade and try out the powers of the TrueDepth camera. 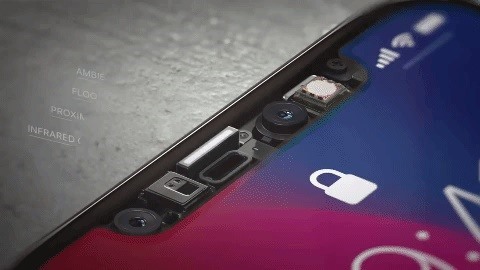 But if you're hoping for more precise AR experiences from a Tango-like rear sensor, you'll need to hold onto your iPhone for at least another year.